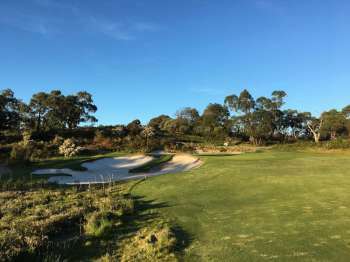 A former European Tour player turned golf course designer, Mike Clayton has worked on the restoration and redesign of a number of golden-age courses across Australia. 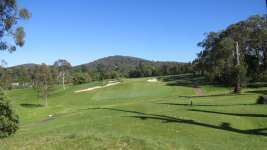 In 2010 he entered into a partnership with US Open Champion, and fellow Victorian, Geoff Ogilvy. Clayton's start in design came during the late 1990s, when he assembled a team of associates and threw himself seriously into the business. 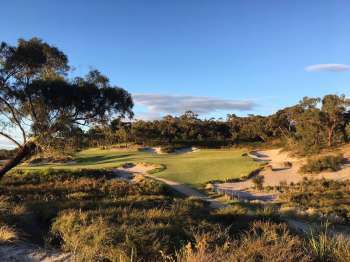 His first projects were important redesigns of courses like Portsea and Peninsula, and restoration work at Victoria GC, which has continued for many years and involved modernisation, the return of sandy wastelands and the preservation of classic design features. 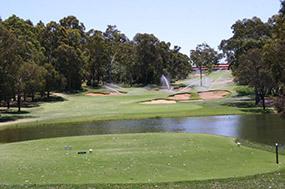 Currently known as Clayton Ogilvy Cocking and Mead (OCCM), the company has also worked on other classic Australian courses like Lake Karrinyup, The Grange, Commonwealth, Royal Canberra and The Lakes – which involved a substantial redesign of a tired and dated championship layout. 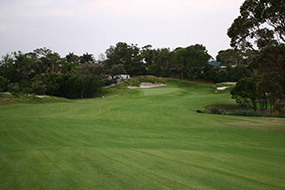 Perhaps unsurprisingly, given the playing abilities of Ogilvy, Clayton and lead designer Mike Cocking, this company is favoured by the likes of Golf Australia and prestigious clubs of tournament pedigree to add back tees, bunkers and make courses suitable for championship play. 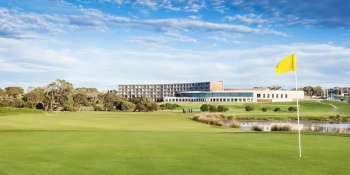 In 2017 and 2018 the South and North Courses at Peninsula Kingswood Country Golf Club in Frankston were reopened, each after a very expensive redesign by the OCCM team. While the South Course was always long and tough, the North had far more charm and quirk and, dare we say it, was more fun to play. 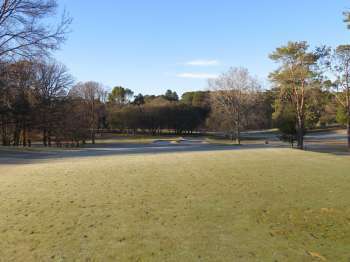 The redesign has focused on immaculate presentation, sand and getting both courses ready for the modern professional. 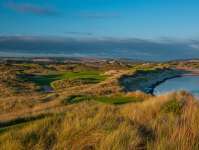 The North is undeniably more attractive from an aesthetic perspective and beautifully maintained, but several shots harder for all standard of golfer. 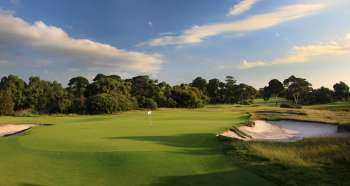 Both courses are now among the most heavily bunkered in Melbourne. 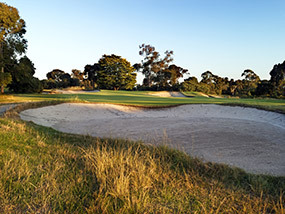 Though ideal for tournament play, the bunkering may prove unpopular with a certain demographic of club members and the courses are probably too expensive to maintain long-term to recommend to other clubs as models to follow. Although the OCCM design team has been busy with redesign and renovation projects over the last two decades, they have been involved in very few new course projects. The first was Ranfurlie in Melbourne's southeast, which remains the only solo design from scratch in the company portfolio. Their other new course projects were built in collaboration with Tom Doak. 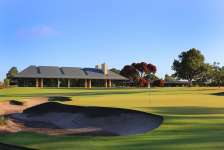 Clayton and his partners did redesign the entire RACV Healesville course, and essentially built a new 18-hole track for Royal Queensland following the expansion of a city bridge that cut across their course property. 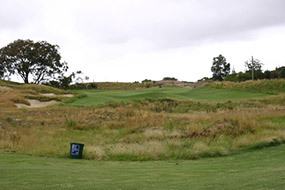 The Royal Queensland work transformed an unremarkable course on dull, featureless land into one of the more interesting flat courses in Australia. 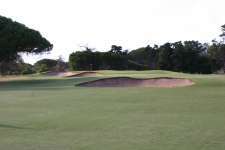 The bunkering is a feature, as are the heavily contoured greens and broad, generous fairways that force golfers to choose from multiple routes of attack. The restraint shown at RQ and Healesville is in direct contrast to more recent projects like Peninsula Kingswood and Bonnie Doon. 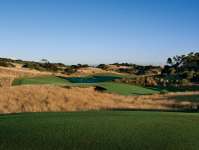 Despite the fact that Mike Clayton and his team are based in Australia, his partnership with Geoff Ogilvy should ensure they are now considered for new course or renovation projects around the world. 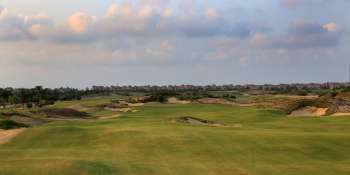 Indeed, they were appointed to redesign the famed Shady Oaks course in Texas, and the Yangste Dunes course in Shanghai. 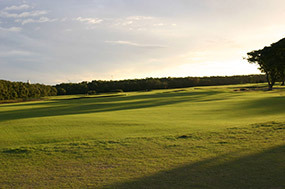 To contact Ogilvy Clayton Cocking Mead (OCCM) Golf Design, or for an independent assessment of their suitability for your project please contact the Global Golf Group.